The statistic presents results of a survey on the extent to which social media sites like Facebook and YouTube responsible for the spread of fake news in the United States as of March 2018. 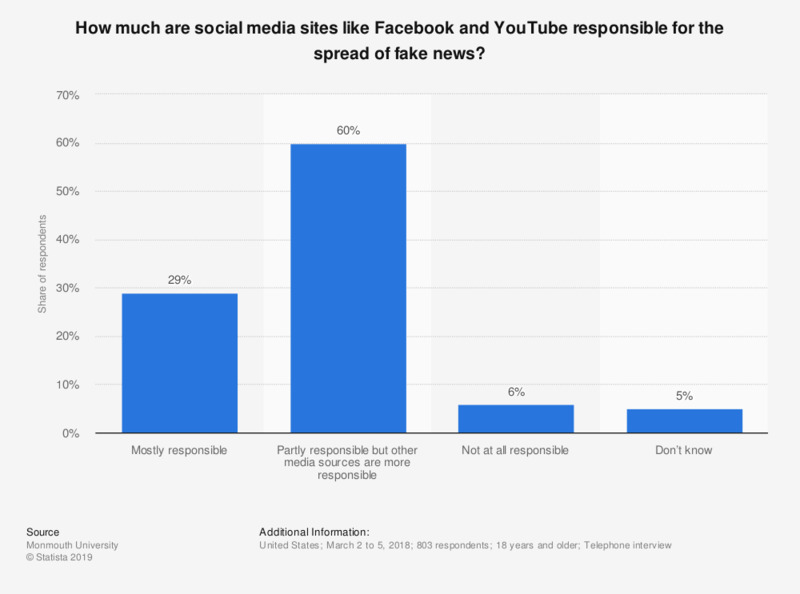 During the survey, 29 percent of respondents stated that they believed social media sites were mostly responsible for the spread of fake news. How often do you read news feeds on social media? When you use social media for news, how often do you notice the brand that supplied the content? Which of the following types of news is most important to you?